Norman Longmuir is one of the founding fathers of Melbourne University Basketball Club from 1953. 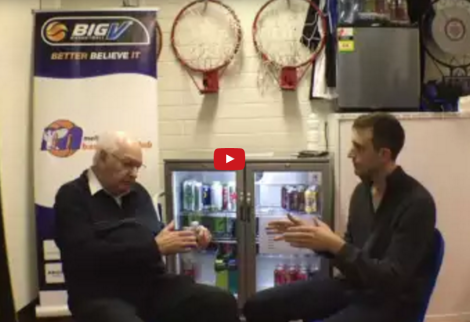 In this interview, Norm recounts several experiences during those formative years including intervarsity, provides some context around the Victorian basketball scene at that time, discusses basketball at the 1956 olympics and compares the style of play of the 1950's Melbourne Uni team to the modern era team of 2016. Oh, and he casually mentions how he brought the shuffle offence to Australia! 40m mark: Cricketers & other athletes were required to play for MU whilst undergraduates. MU's first 11 played in the Victorian Cricket Association at that time. 49m: Norm brings the shuffle offence to Australia!!! © Melbourne University Basketball Club 2019. This page was last updated by smoke on June 4th, 2016.